Turkey’s first wind energy tender received eight bids from European, Chinese and US-based companies partnering with local businesses, according to the energy ministry. The government is seeking to build 1 gigawatt of wind energy, with a mandate that the winner must create jobs by building a factory in which at least 65% of the turbines will be manufactured. ‘It is slightly surprising given the tough local content requirements, it seems like every big manufacturer is bidding, said Victoria Cuming, head of policy analysis of Europe, the Middle East and Africa at Bloomberg New Energy Finance. 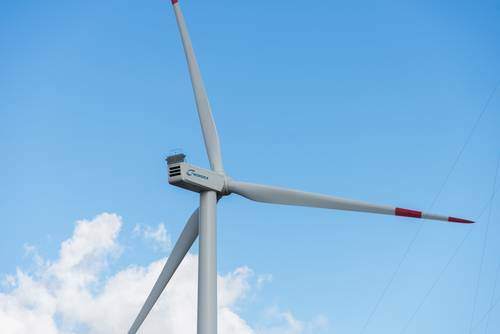 ‘Still, is seen as a growth market for wind and is well placed for catering to Europe and for the Middle East and North Africa region. The winning bidder’s factory has to produce at least 150 uits per year, according to Cuming. If the company makes more than 65% of the machine locally, it will receive an incrementally higher tariff for its electricity. The winner will also have to employ a local workforce, with a minimum set at 90%. The generation capacity will be spread throughout Turkey, but it will not be installed in one location. The government has selected seven regions for the company to choose from, including Eastern Thrace near Bulgaria, an area close to Ankara and the city of Sivas in central Turkey. The Turkish energy ministry has previously said that it plans to auction off permits and power purchase agreements for 10 gigawatts of solar and 10 gigawatts of wind over the next decade.